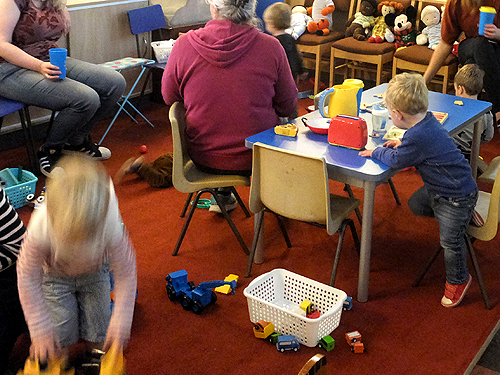 St James's Ark is a playgroup for carers and under fives which is Christian based and non-educational. 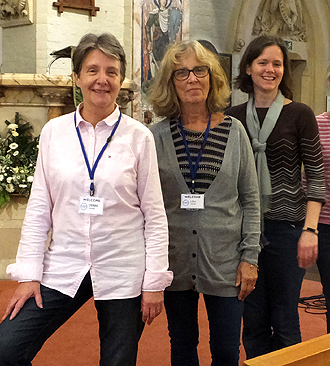 It takes place in church on Monday mornings during term time from 10.15 – 12.15. 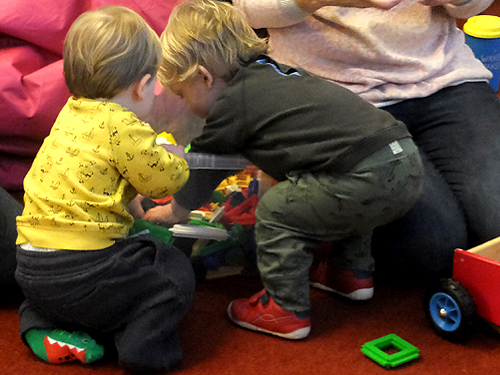 The group provides a fun morning for the children and a chance for the adults to chat with friends old and new in a relaxed and friendly atmosphere. There is a large regular clientele, some occasional visitors and new people are always welcome. About twenty five children usually attend per week with a maximum of thirty families being accommodated. As there is a limit to the number of people come early to avoid disappointment. £2 per family is charged each week and any surplus money is donated to one of St James's charities. There are two separate play areas, for babies and toddlers, with lots of toys and equipment, much of it donated. There is an art and craft table and Coryn comes in twice a term to do a flower-based activity. Later in the morning the children can take part in singing and action rhymes and listen to a story. There is always a fun filled Christmas Party and a picnic in Bushy Park on the last session before the summer holidays. Refreshments for both adults and children are available at no extra cost throughout the morning with Fairtrade goods being used. There is access to the toilets in the west porch. If you are new to the group you will be asked to complete a short registration form. Then each time you attend we ask you to sign a register. Your children and all your property remain your responsibility at all times. Reasonable steps have been taken to make the Ark a safe environment, but we ask you to monitor and supervise your children and ensure their safety and good behaviour. (Safeguarding Policy and Risk Assessment). Have you observed all the green emergency exit signs? In any emergency requiring an evacuation the Playgroup Leader will go directly to the assembly point in the front garden of the vicarage (the first house after the church hall). You are required to take your children to the assembly point and inform the Leader that you and your children are safe. Please respect the privacy of others when taking photographs of your children. Both the Norman Jackson Children’s Centre in Windmill Road (020 8941 6843) and the one in Tangley Park (020 8481 9420) run Paediatric First Aid Workshops. Ring for details and to book in.